What is Achilles Tendinitis ? Perhaps you’ve heard of Achilles tendinitis and think it only happens to marathon runners or hard-core athletes. But this injury can happen to people of all ages and athletic levels. If it’s not properly treated, it can lead to an extremely painful tendon rupture. You use your Achilles tendon every day. It’s the largest tendon in your body and connects your calf muscle to your heel bone. It is strong and tough, but it takes a lot of abuse from daily walking, running, and jumping. If you overuse it (like during intense exercise), or if you suddenly increase your activity (common with “weekend warriors”), it can become inflamed and painful. It’s important to recognize the possible signs of Achilles tendinitis. If you continue to strain the Achilles tendon while it’s inflamed, it can lead to a rupture that requires surgery. It can also cause a bone spur (hard, bony growth) on the back of the heel. Rest. You’ll have to take a break from the activities that make the pain worse. Ice. Icing is a great way to naturally relieve inflammation and pain. Calf stretches. Your podiatrist can show you how to do specific exercises to gently stretch the tendon and help it heal. Supportive shoes and/or orthotics. Some people benefit from a special shoe or insert that raises up the heel slightly, giving the tendon an opportunity to heal. Your podiatrist can recommend the right ones for you. If your pain is not relieved after several months of non-surgical treatment, your podiatrist may discuss surgery with you. There are a variety of surgical techniques designed to repair the tendon and remove a bone spur if needed. Our podiatrist will discuss your surgical options and make sure you’re comfortable moving forward with the surgery and recovery. Most people who have a damaged tendon and daily pain find that the surgery provides much-needed relief. 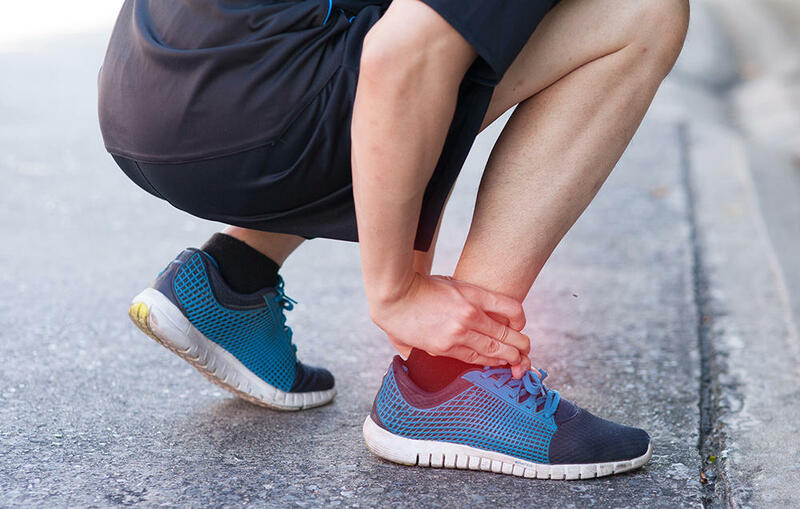 If you have heel pain or other symptoms of Achilles tendinitis, contact our podiatry office to learn how you can address the problem and get back to the activities you love! Healthy feet mean a healthy you! make sure your feet are healthy.